Climate change is beginning to affect vineyards in Spain. The start of the grape harvest has moved forward 11 days in the last 20 years. 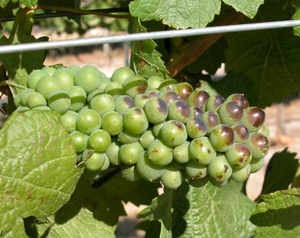 This is increasingly seen as a major threat to the wine industry in Spain and elsewhere. According to the experts, until now the changes to grapes caused by higher temperatures (fruitier flavours, higher acidity and higher concentrations of alcohol) have generally had a positive impact on the taste of wines. But if temperatures keep rising in Spain, wines could soon taste very different, ruining some vintages.